Coenzyme A (CoA) plays a crucial role in energy metabolism and is implicated in a large number of disorders, from ultra-rare diseases like pantothenate-kinase associated neurodegeneration, or PKAN, to common diseases such as Type 2 diabetes. CoA and its related derivatives, which are called thioesters, are used by approximately 4% of cellular enzymes. CoA thioesters regulate the crossroads of energy metabolism. They are involved in some of the most important pathways responsible for breaking down metabolites and building key molecules necessary for healthy physiology. These pathways include the Krebs cycle, fatty acid synthesis and degradation, ketogenesis and steroidogenesis. 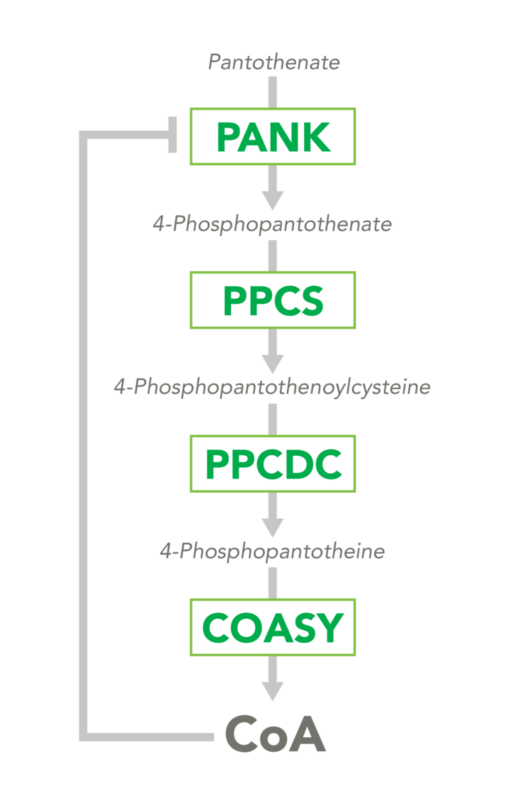 The CoA biosynthetic pathway begins with pantothenate (Vitamin B5), which is obtained through diet and the gastrointestinal microbiome. The sole biologic fate of pantothenate is CoA synthesis. 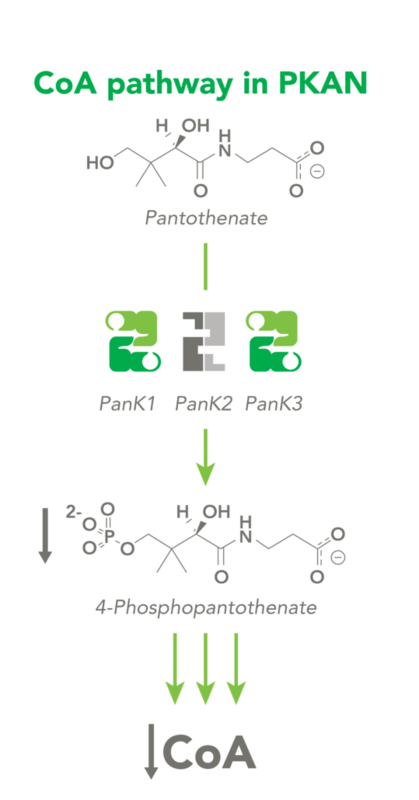 Pantothenate is converted by pantothenate kinase (PanK) to 4’-phosphopantothenate, which is rapidly converted into CoA. CoA thioesters inhibit PanK function, providing a feedback mechanism for regulation of CoA levels. Pantothenate kinase associated neurodegeneration, or PKAN, is the most common form of neurodegeneration with brain iron accumulation (NBIA). PKAN is a devastating disease that typically results in death in early adulthood. Individuals with PKAN typically develop symptoms before age 10 followed by a rapid deterioration in movement, speech and vision associated with neuronal degeneration. PKAN is estimated to affect up to 3 in every 1,000,000 people. There are currently no treatments approved for PKAN. PKAN is an autosomal recessive genetic disorder caused by mutations in the pantothenate kinase 2 (PANK2) gene. The PanK2 enzyme plays a critical role in the synthesis of CoA in neurons; patients with PKAN either have a complete absence or a large deficiency of the enzyme activity, reducing neuronal CoA levels. 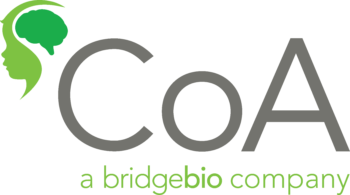 CoA Therapeutics is developing a novel small-molecule approach to modulate CoA levels by leveraging recent research about the Coenzyme A synthetic pathway. While PanK2 is inactivated in PKAN patients, other isoforms known as PanK1 and PanK3 are still active. CoA Therapeutics’ small molecules bind to PanK1 and PanK3 to prevent inhibition, thereby activating CoA synthesis. 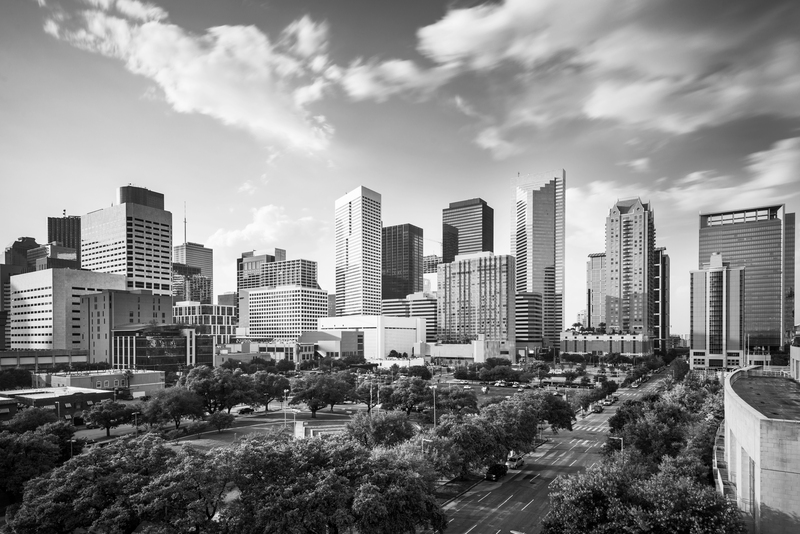 CoA Therapeutics was founded in 2018 with the aim of developing novel therapies for difficult to treat and rare genetic disorders by harnessing advances in understanding of the CoA pathway. CoA Therapeutics’ approach and lead compounds are based on breakthrough scientific developments led by Suzanne Jackowski, Charles Rock, Richard Lee and Stephen White at St. Jude Children’s Research Hospital in Memphis, Tennessee. CoA Therapeutics is led by veteran biotechnology executives whose sole objective is to partner with patients and physicians to bring effective therapies for PKAN and other diseases to market at the soonest possible opportunity. BridgeBio is a clinical-stage biotech company developing novel, genetically targeted therapies to improve the lives of patients. The BridgeBio approach combines a traditional focus on drug development with a unique corporate model, allowing rapid translation of early-stage science into medicines that treat disease at its source. Founded in 2015 by a team of industry veterans, the company has built a robust portfolio of eighteen transformative drugs ranging from pre-clinical to late-stage development in multiple therapeutic areas including oncology, cardiology, dermatology, and rare disease. BridgeBio holds each drug candidate in a distinct subsidiary company to maximize management focus and financial flexibility. BridgeBio’s focus on scientific excellence and rapid execution aim to translate today’s discoveries into tomorrow’s medicines.